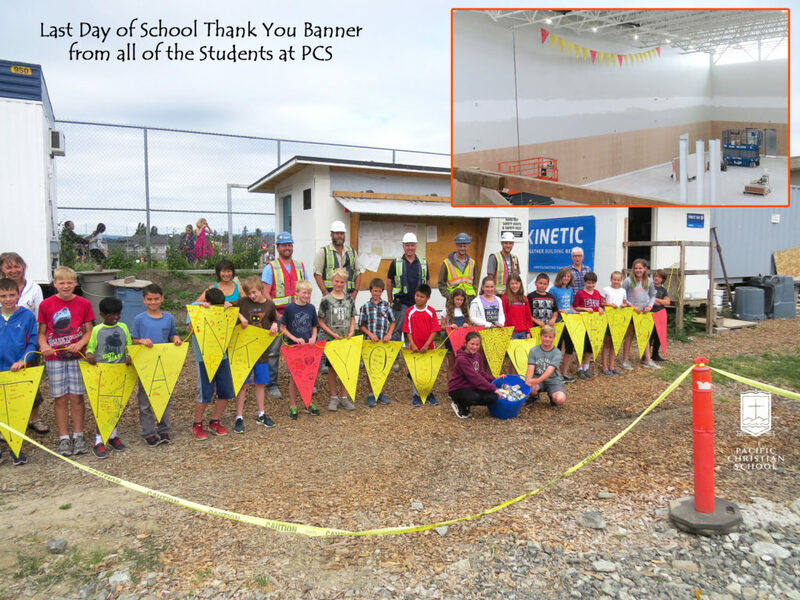 On the last day of the school year, June 22, 2018, the students at Pacific Christian School presented Kinetic with a thank you banner in appreciation for our team’s work at the school. The students were excited to present the banner to Kinetic’s crew, who are currently on the school’s site completing the reconstruction of the school’s gymnasium and renovation to the change rooms, office and storage space. The project is on schedule for completion and is set to open next month. Kinetic is pleased to be the construction manager for this important project for the school and the community of Saanich. To watch the banner raising video, please click here – (video courtesy of Pacific Christian School).